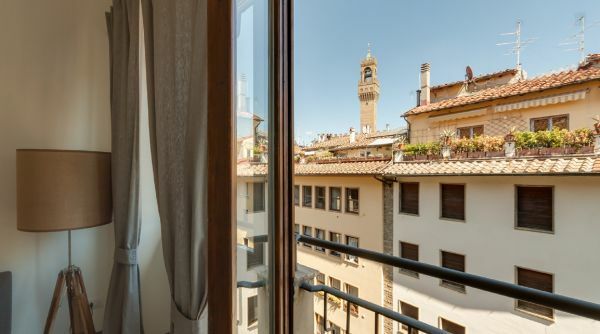 An elegant and refined setting for your Florentine holiday, just steps away from Ponte Vecchio and with a stunning panoramic terrace! 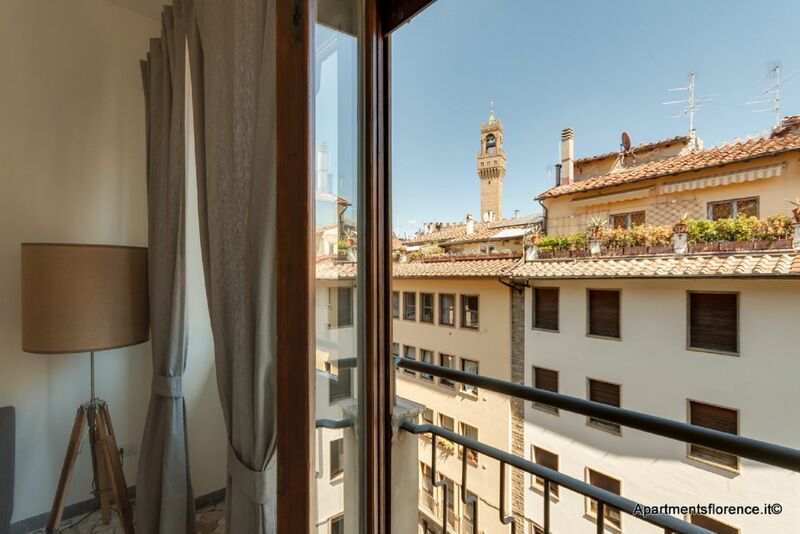 This apartment is located on the fourth floor up, with elevator (very rare feature in downtown Florence! 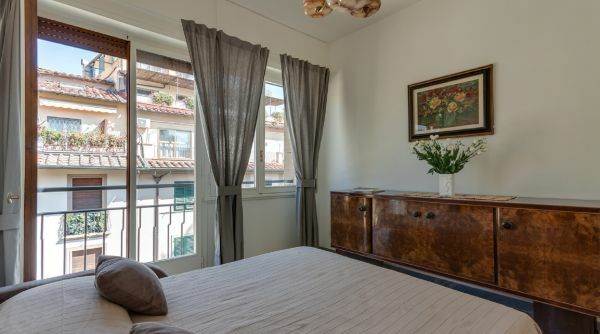 ), of an historic building set on Via Por Santa Maria, two minutes away from Ponte Vecchio. 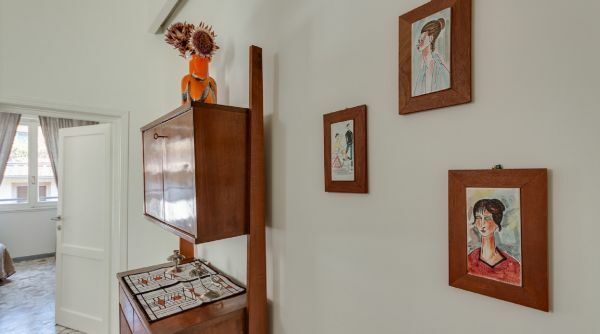 The whole place has been recently redecorated and renovated with great taste and attention to detail. 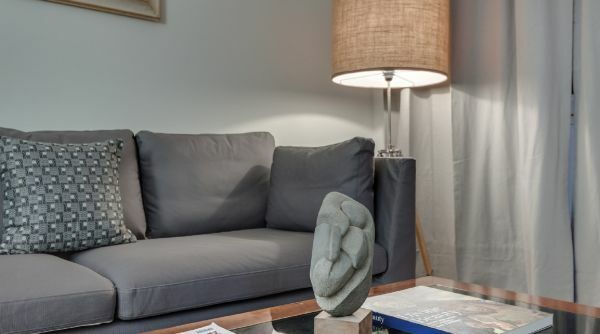 A wise mix of antique, contemporary and modern items create a unique and charming feel in every room, giving this apartment its own distinguished character. 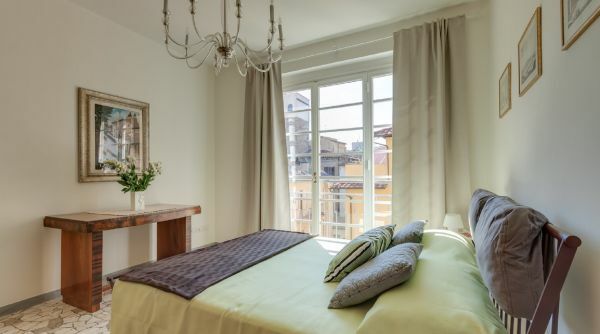 Many sunny windows allow olenty of natural light to get inside and brighten up every room. 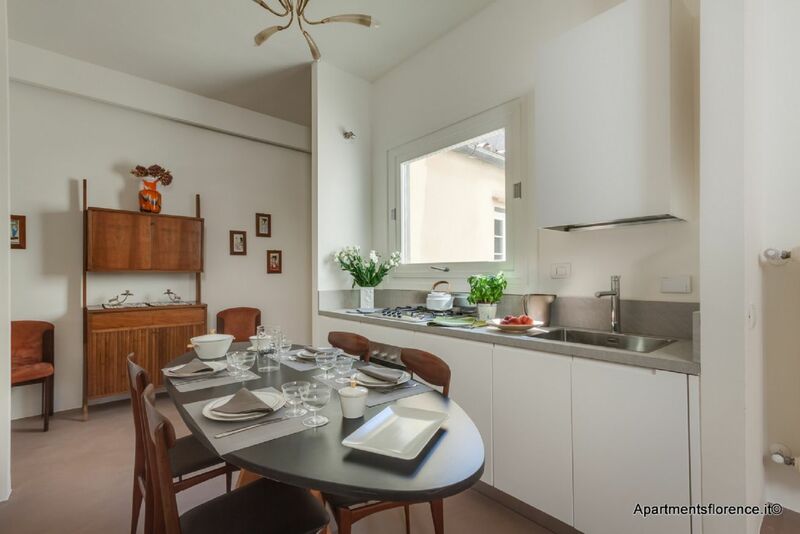 Entering the apartment you'll find yourselves in the living area, equipped with a nice dining table, a well equipped kitchen and built-in cupboards. 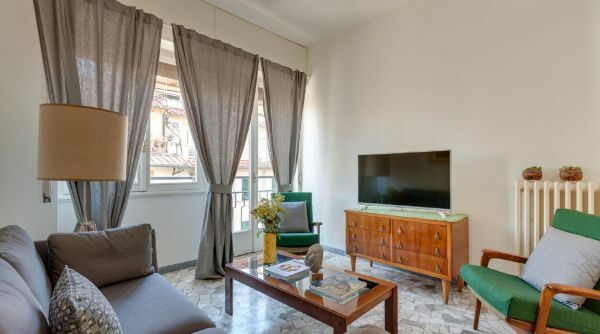 On the other side of the corridor you'll find the living room, very bright thanks to the large window, featuring a cozy sofa, armchairs and flat screen TV. 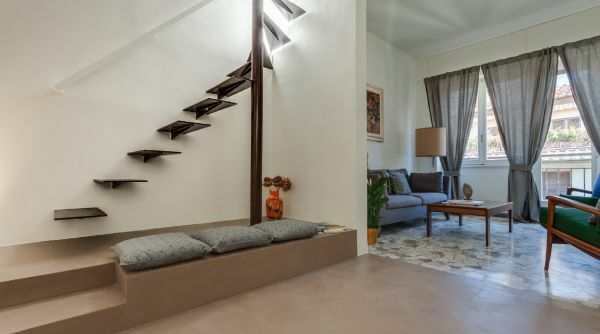 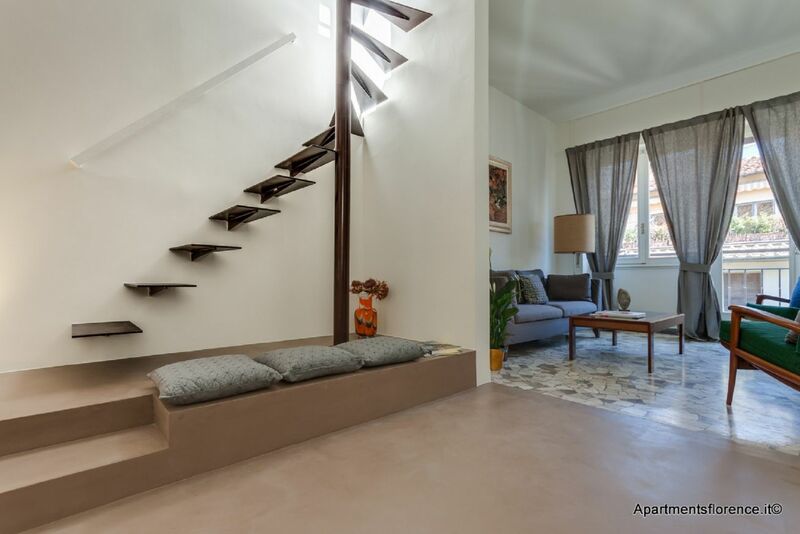 A staircase leads from the living area up to the real gem of this apartment: the rooftop terrace! 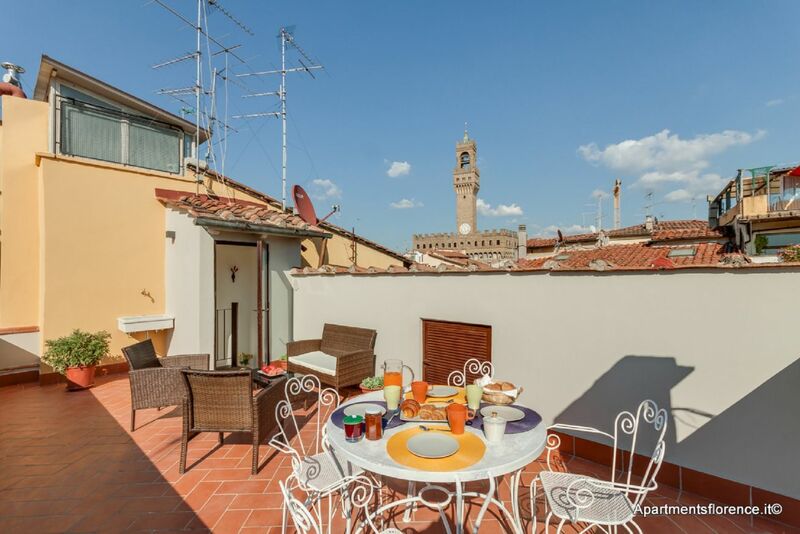 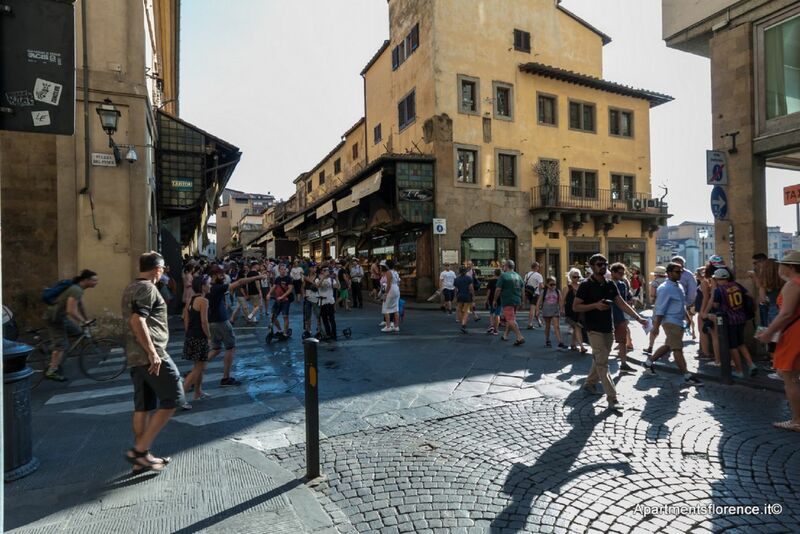 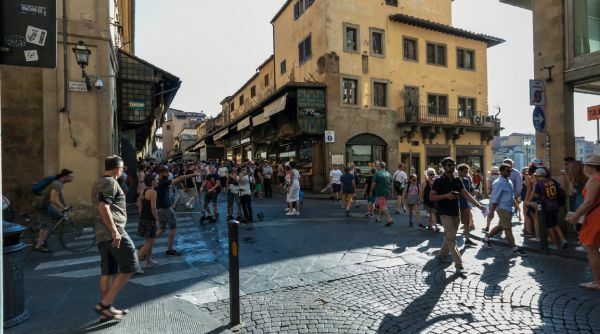 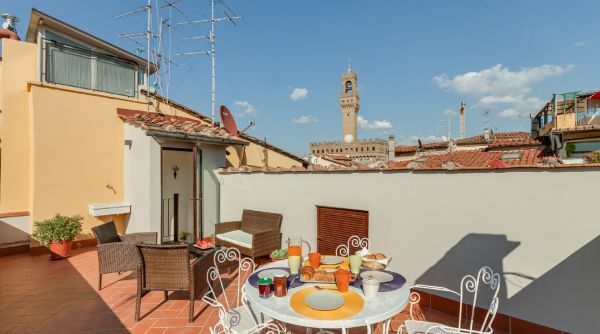 A sunny and private environment, equipped with outdoor furniture, breakfast table, chairs and armchairs, from which you'll be able to fully enjoy the beautiful view overlooking Florence's rooftops and the marvelous Palazzo Vecchio. 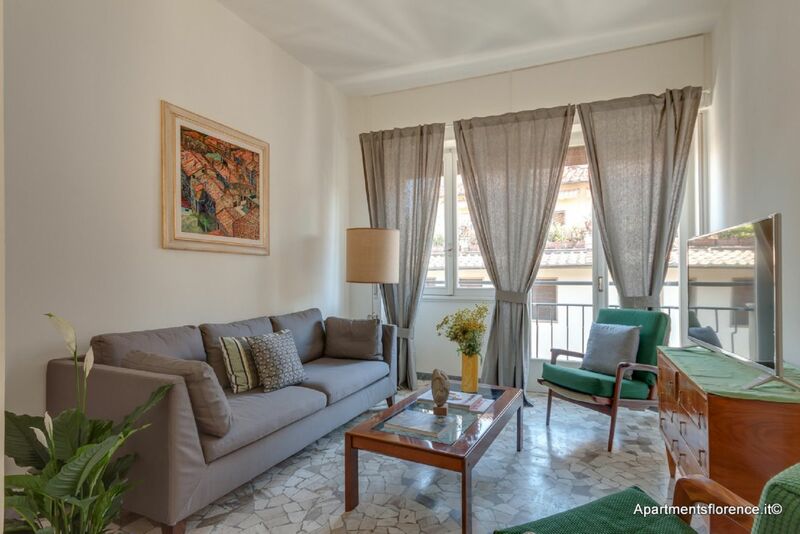 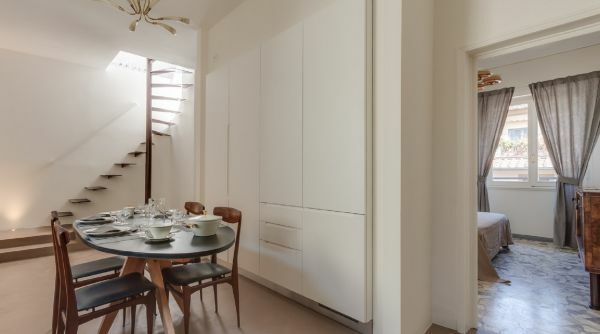 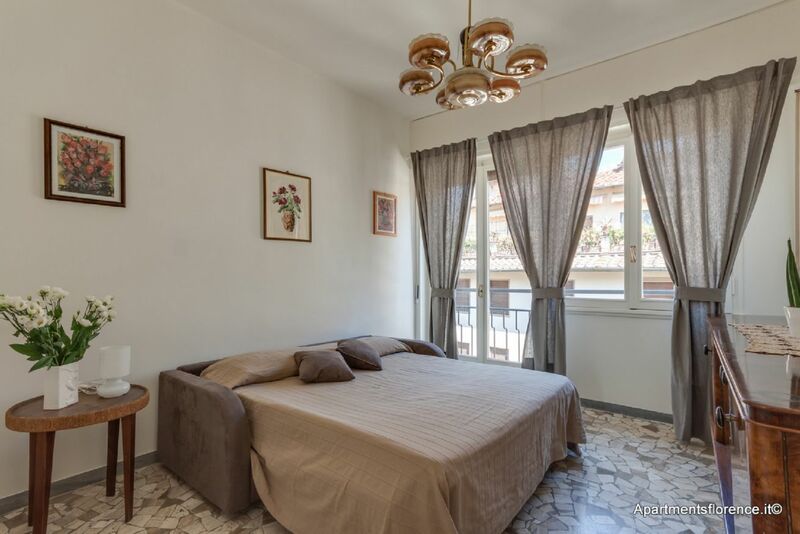 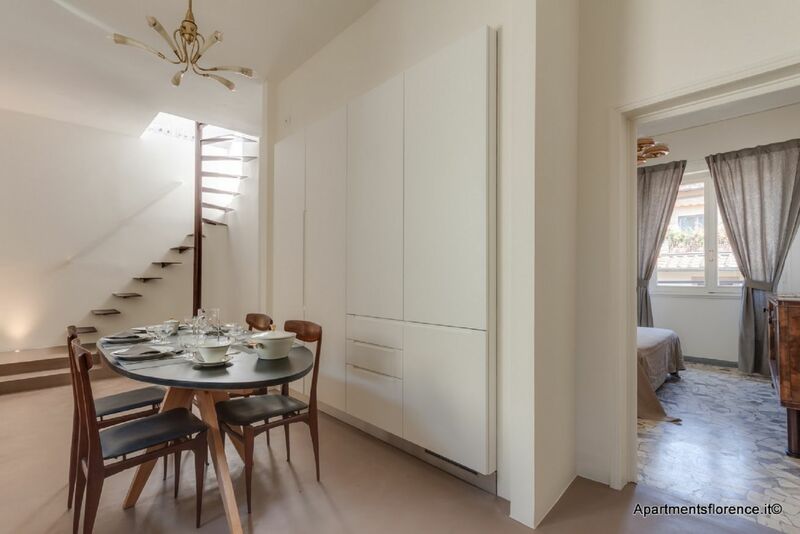 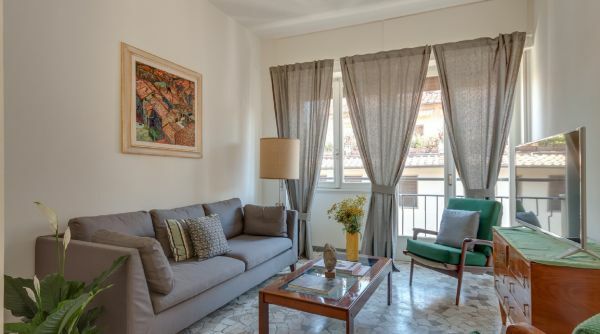 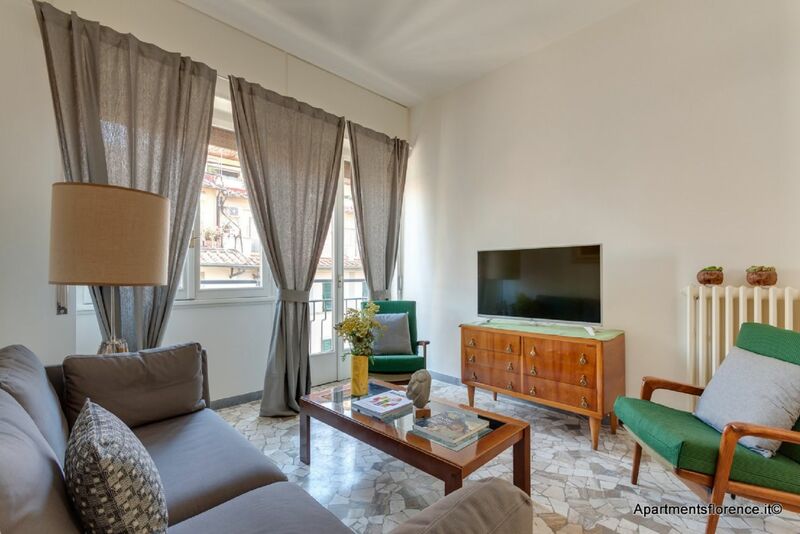 This apartment can accommodate up to six guests thanks to the three bedrooms and two bathrooms. 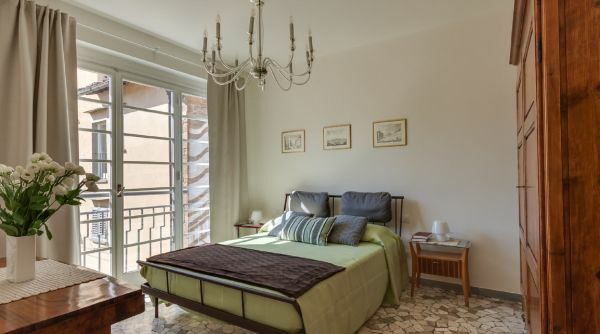 The master bedroom features a queen size bed, a large closet and night tables. 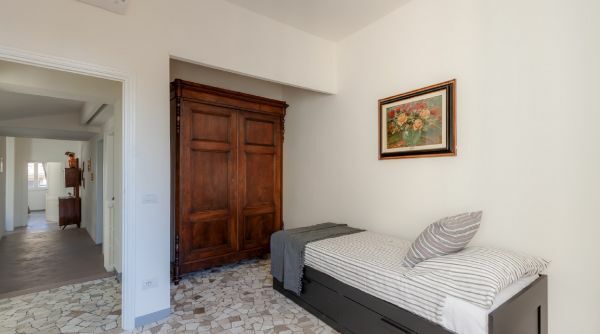 The second bedroom features a double sofa bed and dresser, whereas the third bedroom features a single bed (a trundle bed which can become a doule bed ), closet and library. 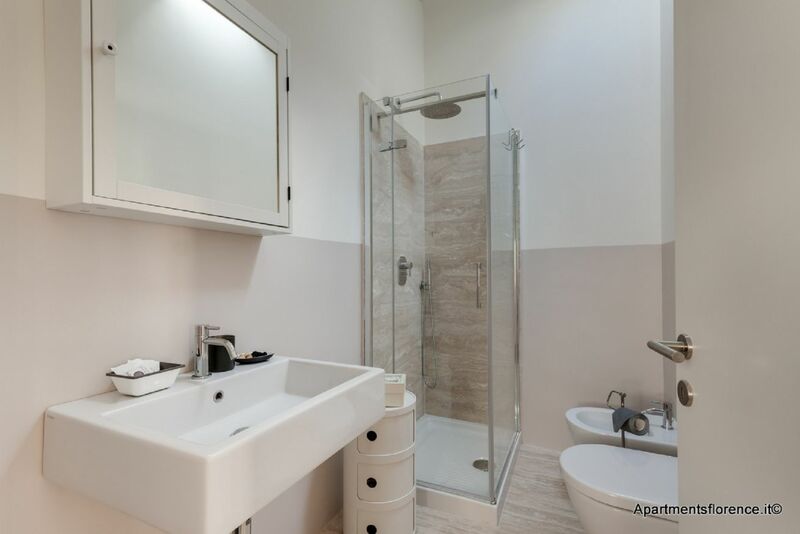 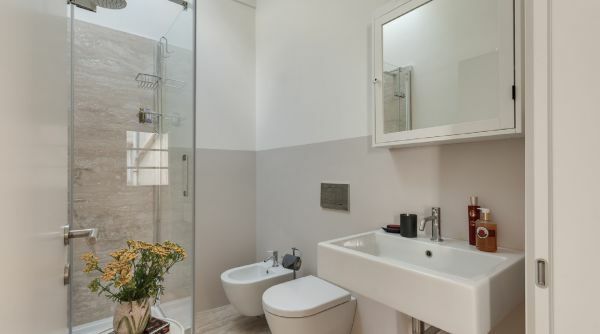 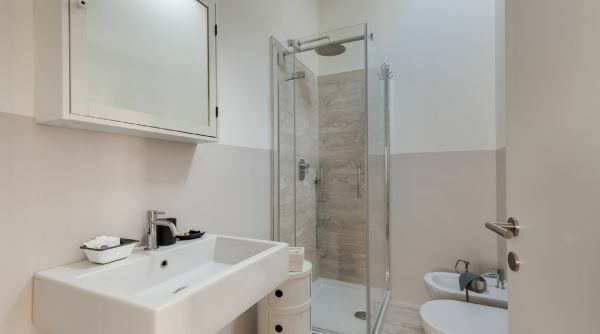 Two full bathrooms, recently renewed and modern, equipped with walk in showers, complete the property. 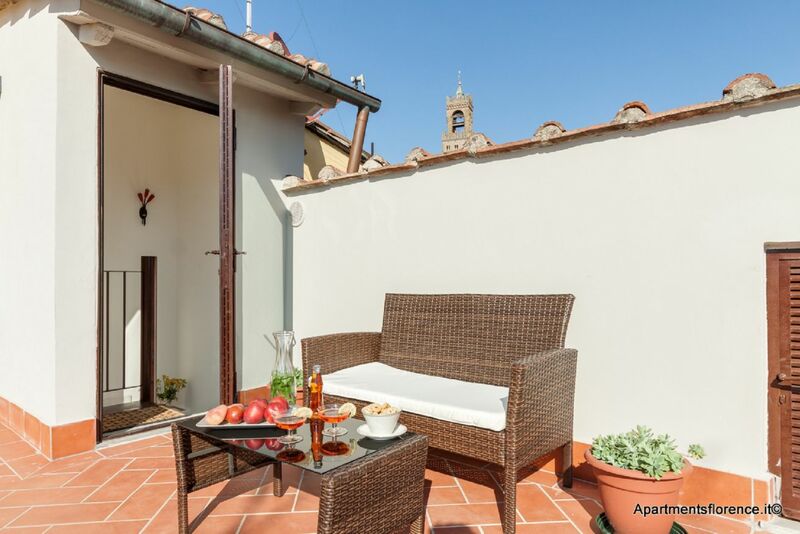 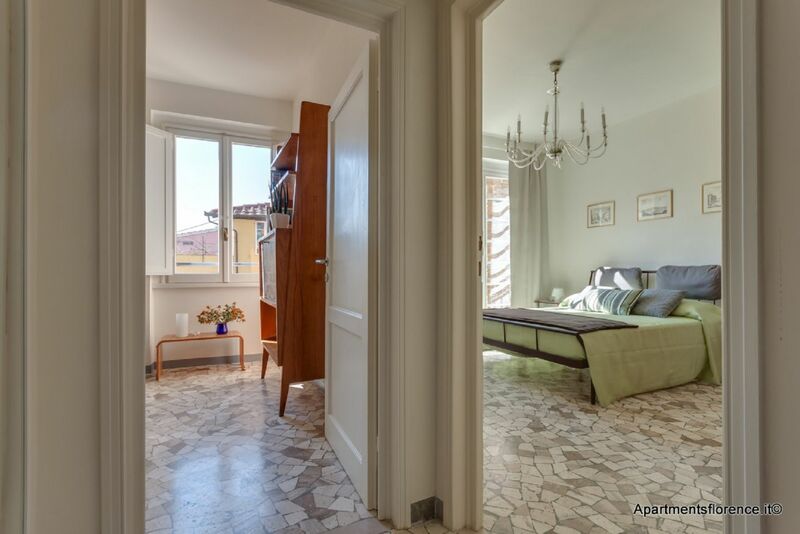 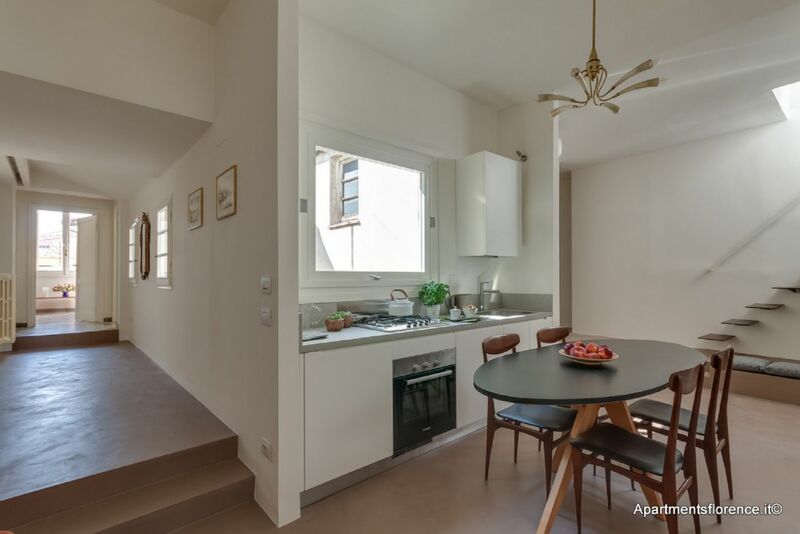 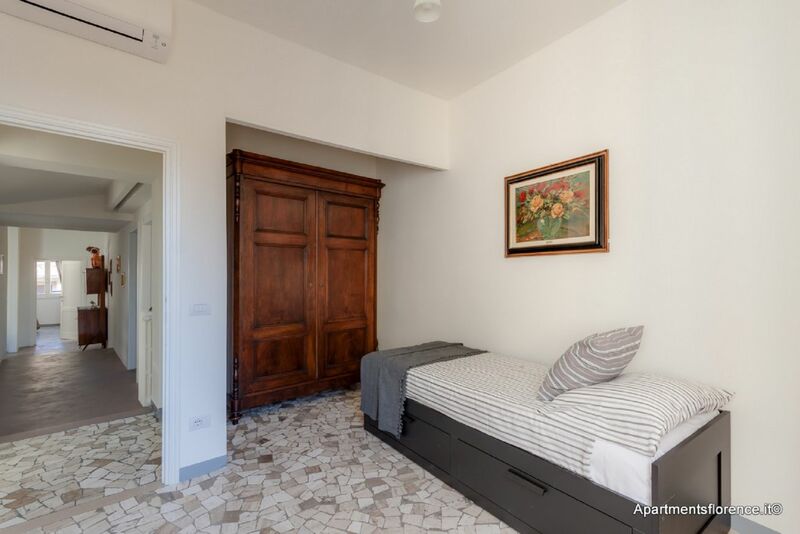 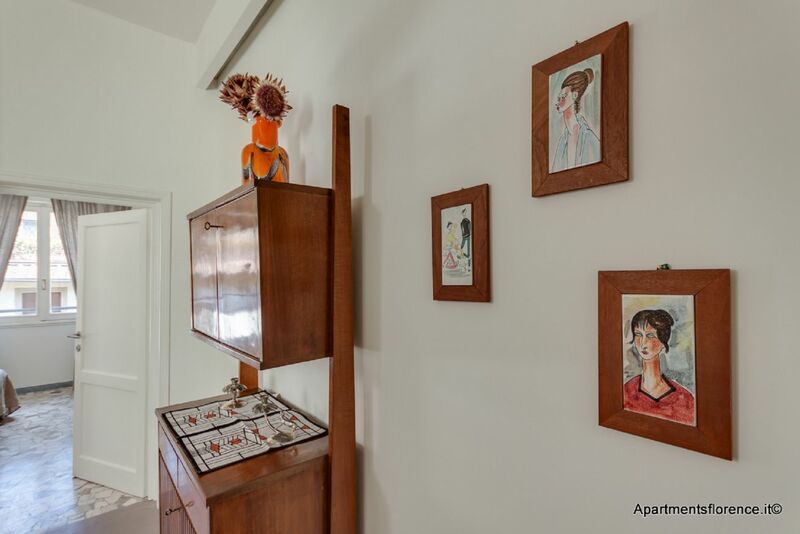 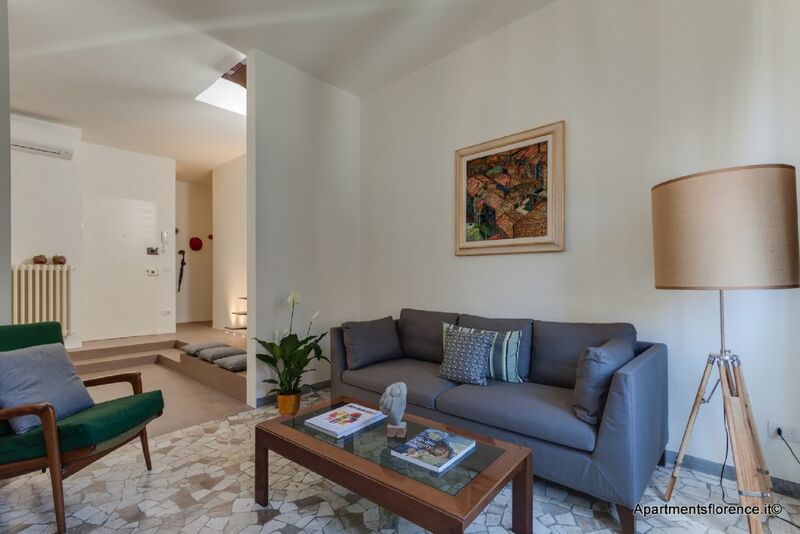 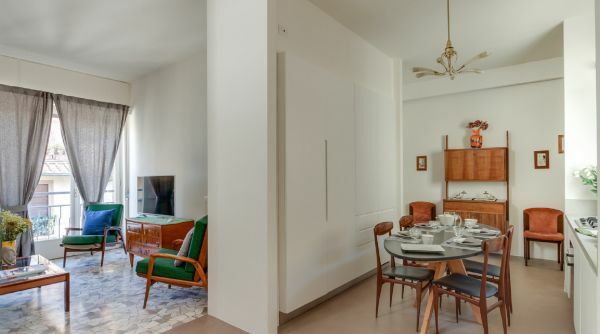 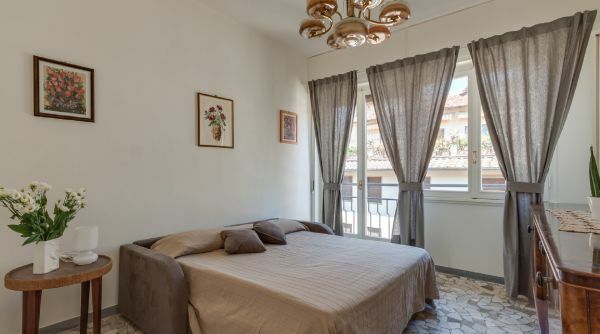 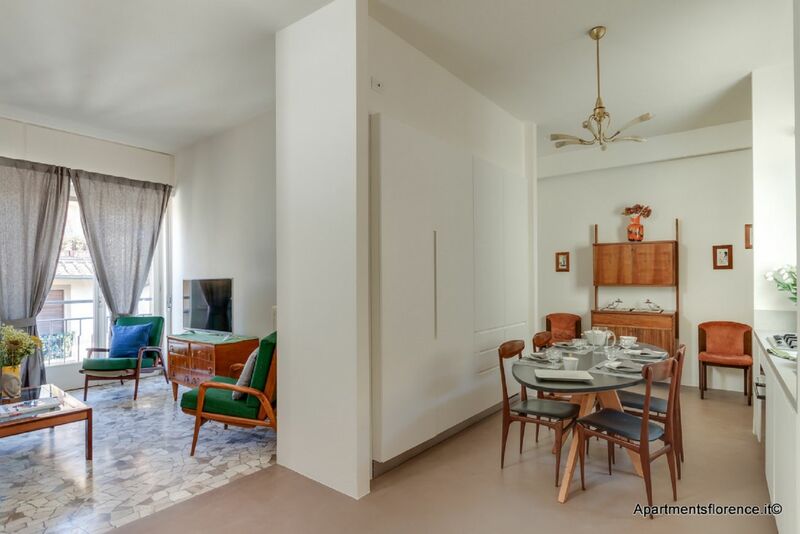 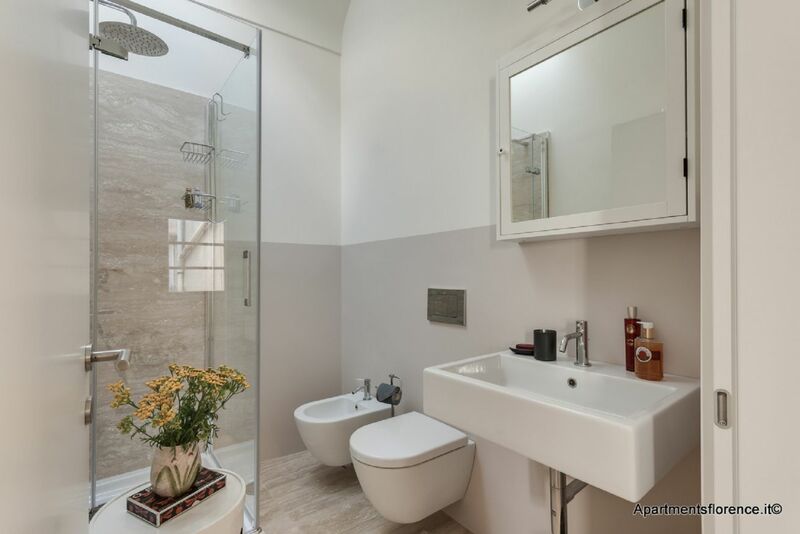 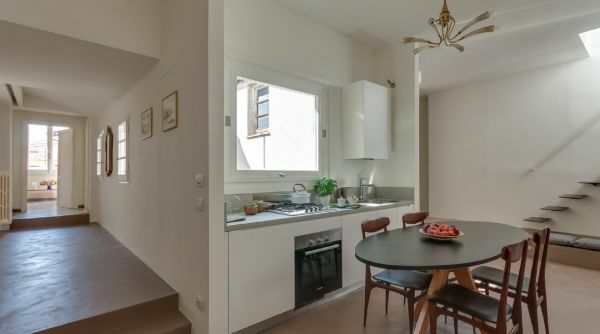 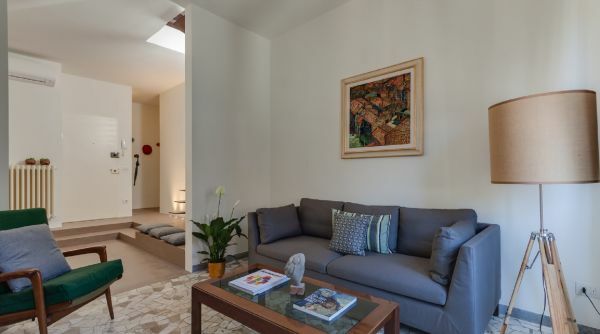 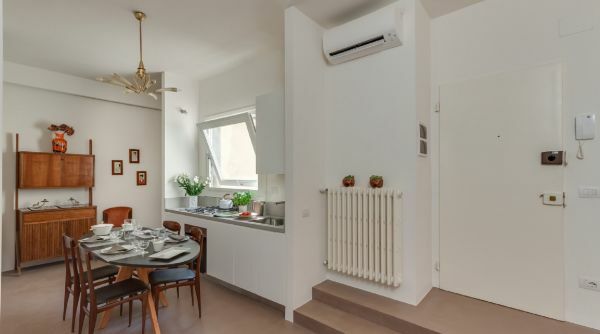 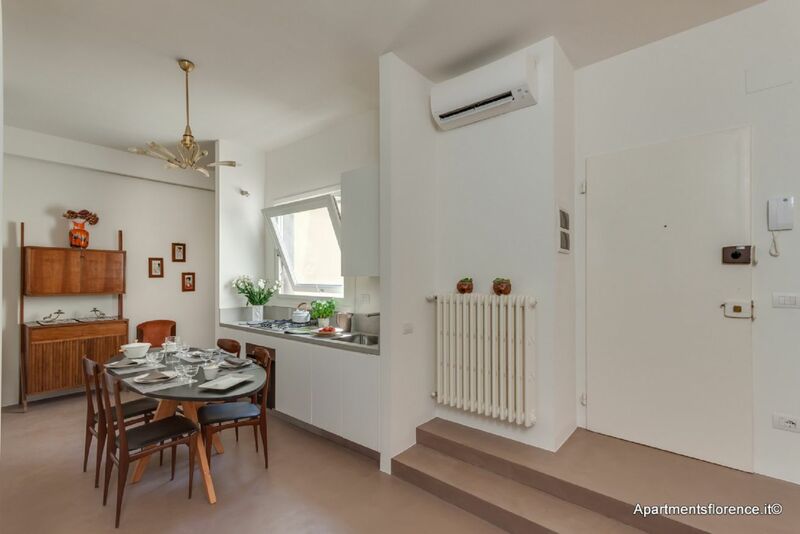 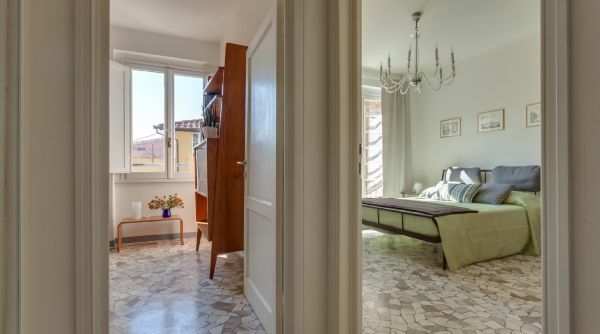 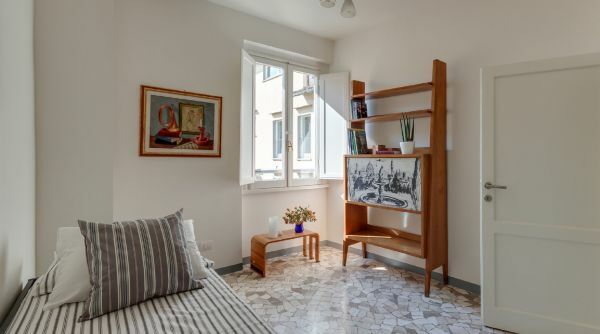 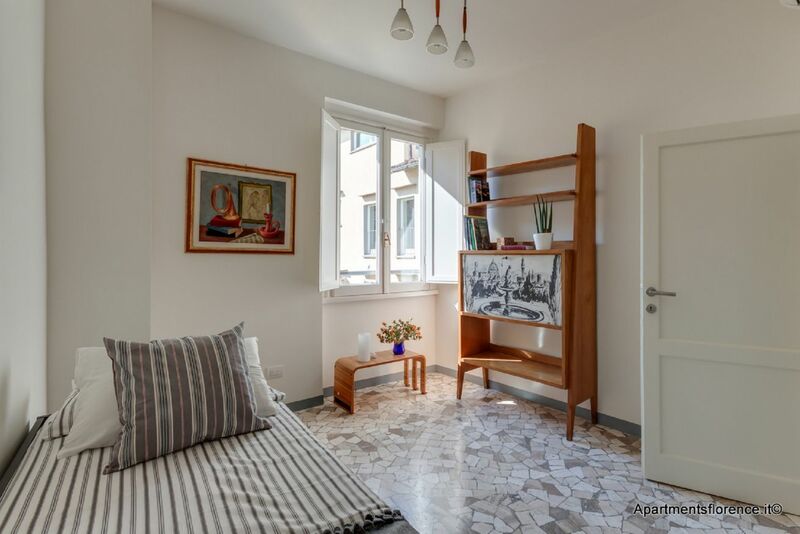 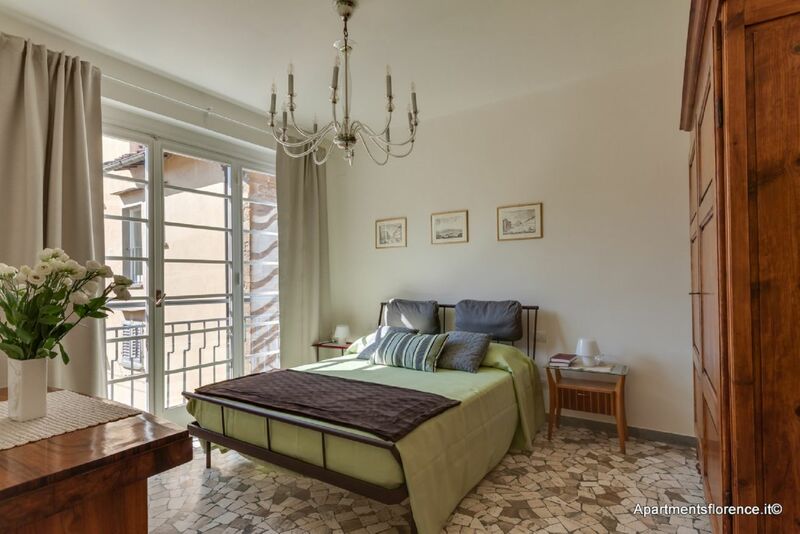 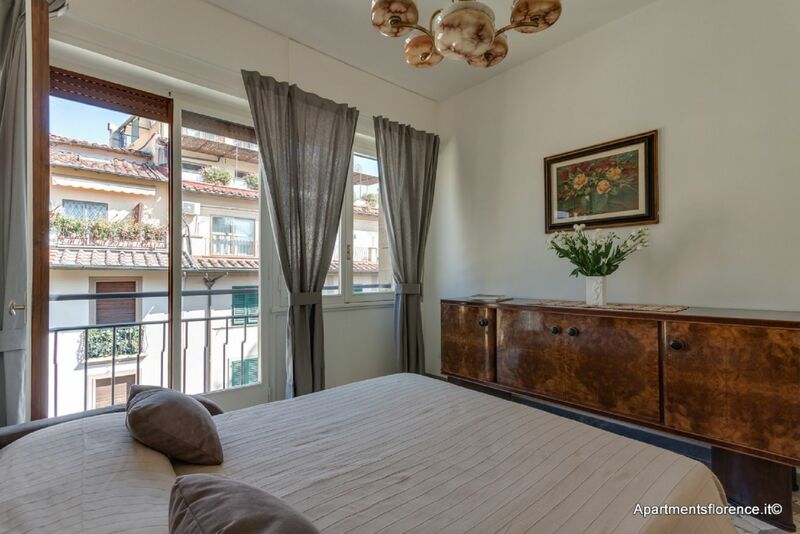 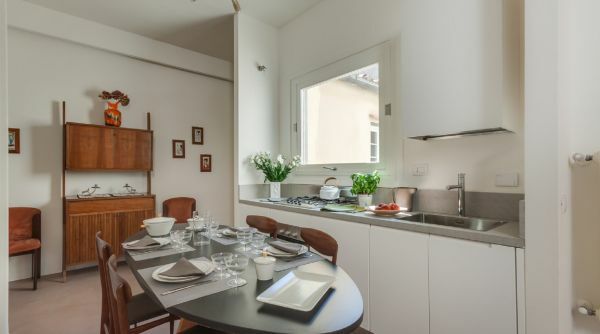 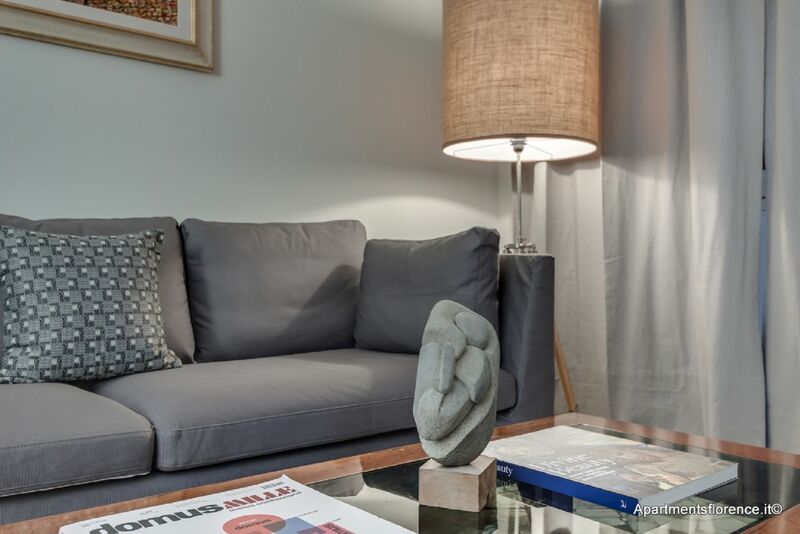 This unique apartment is ideal for any kind of traveler who wishes to experience Florence staying in a charming and well located apartment. 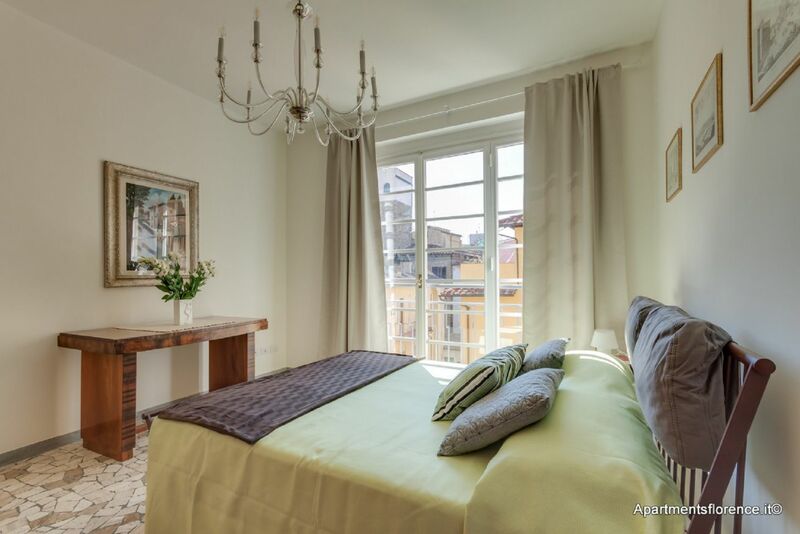 Choosing this apartment you'll get the chance to stay in a comfortable prime choice location, just a few steps away from Ponte Vecchio and the Uffizi Gallery-This apartment sure represents an exceptional starting point to explore all Florence on foot, being within walking distance from all of Florence's beautiful monuments and museums.